Fatherhood: What’s in it for me? Father’s Day – I struggle with the concept. When I was a kid I loved Father’s Day just as much as I loved Mother’s Day. My dad never really liked Father’s Day and I could never understand why. Who doesn’t like it being spoiled by his children? When I became a father, I came to completely understand why my dad had reservations about a day dedicated to fathers. I’m uncomfortable with all of the attention. I find it awkward when people say ‘Happy Father’s Day’ because it implies that I am being honored simply for having taken part in the creative process. I was raised by a father who did not like being the center of attention but he was happy to make a fuss over other people. He was embarrassed when people did things for him but he enjoyed, even reveled in finding ways to help others. I suppose in many ways I have learned those same things from my father and I really appreciate his sacrifices and example. Even though I’m not a big fan of Father’s Day I feel that there are good reasons for me to observe Father’s Day. As a father, I feel like this day is not about honoring me but rather about me honoring the great Father’s in my life and being grateful for the opportunity to be a father to my sons. It is a reminder to me about the things that will help me to be a better father every day, not just on Father’s Day. For years now I’ve been preparing for the day when my sons begin to venture out into the world on their own and blaze their own path. Since the beginning of this past school year, we have been celebrating milestone after bitter sweet milestone as our oldest prepares to begin his life as an adult and one day become a father himself. I’ve been thinking about all the sleepless nights, the dirty diapers, the runny noses, managing dental and medical bills and countless hours of watching organized sports. I have thought of all the field trips, reading logs, dressing up in costumes for parties, fretting over broken bones, bruised muscles and bruised feelings. I have thought of how expensive, how emotionally draining, how physically taxing it is to be a father and I have sometimes asked, ‘Why?’ What do I get out of being a father? What is my reparation for being the man for my sons? The answers don’t come easily when your children are all little tiny hooligans tearing apart your home and beating the life out of each other. But as they grow older and you begin to see their independence, as they develop their own personalities and express their love for you the rewards for being a father become more evident. I won’t be getting any medals, trophies or accolades for being a father. I won’t be winning any Father of the Year awards or marching in a parade for being the best dad in town but I hope that for my sons I can be the absolute best dad that I can be all the time. I have had the blessing of being surrounded by some of the best father’s as my mentors in life. My grandfathers were all honorable, God-fearing, charitable men. I have uncles who have been stern in moments of significance and compassionate in moments of conflict. I have brothers in law who are tender with their daughters and persistent with their sons. I have brothers who are kind, perceptive and protective with their children. 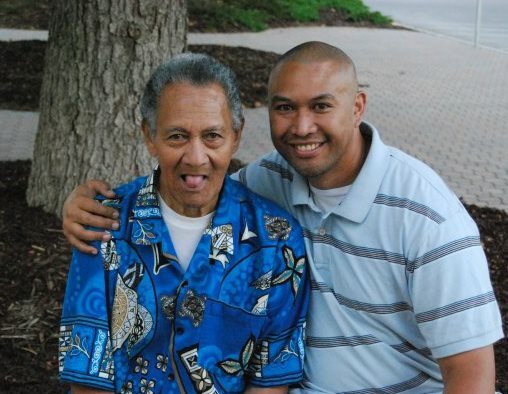 I had a father (may he rest in peace) who was the model of perseverance, faith and enduring love. All of them provide me with the examples of courage, moral fortitude and humility that have been necessary as I struggle to be a better father each day. I consider it a blessing to be a father and to see my sons grow into honorable men is all the reward a father can ask for. And even though I’m no longer a big fan of the day, I hope that all of the father’s in my life have a wonderful day celebrating Father’s Day with their loved ones.